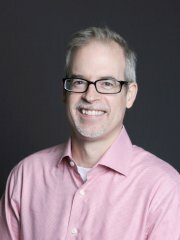 Stephen Porter is Professor of Higher Education in the Department of Leadership, Policy and Adult & Higher Education at North Carolina State University, where he teaches courses in educational statistics and causal inference with observational data. He received his Ph.D. in political science from the University of Rochester, with a concentration in econometrics. Prior to his faculty positions at North Carolina State and Iowa State University, he spent nine years in higher education administration in the field of institutional research, working first at the University of Maryland, College Park, and most recently as Director of Institutional Research at Wesleyan University in Connecticut. He has published in journals such as AERA Open, Economics of Education Review, Industrial and Labor Relations Review, Journal of Higher Education, Research in Higher Education, Review of Higher Education, and Public Opinion Quarterly. Dr. Porter is an editorial board member for Educational Evaluation and Policy Analysis, Journal of Higher Education, Journal of Research on Educational Effectiveness, and Research in Higher Education, and has served on the boards of the American Educational Research Journal, Journal of College Student Development, and Review of Higher Education. Other positions include Chair of the Education Systems and Broad Reform review panel, Chair of the College Completion Research Networks review panel, and Chair of the Pathways to the Education Sciences Research Training Program review panel for the Institute of Education Sciences. He has served as a Visiting Scholar for both the Center of Excellence for Complex Data Analysis and the Education and Workforce Development division at RTI International, and as a consultant for the 2016 and 2020 NCES National Postsecondary Student Aid Studies. Current research focuses on student success, with an emphasis on evaluation using quasi-experimental methods, and survey methods, particularly the validity of college student survey questions.